Good morning! 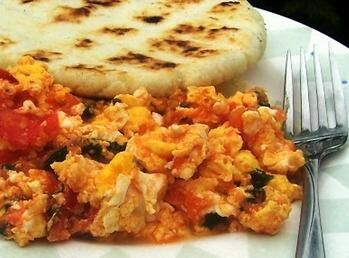 If you’re hungry now, or plan to be later, Metafilter user jontyjago put together a beautiful list of under-appreciated (in English-speaking countries, at least) South American recipes. The scrambled eggs with tomato and scallions, for instance (only four ingredients), would be warmly welcomed if they floated through the window at this very moment. And if you’re in a breakfast-y mood, last year’s incredible photo-list of breakfasts from around the world is always worth revisiting.